Located in central New England, Midstate Mold & Engineering has been producing high-quality plastic injection parts for clients around the globe since 1965. We are proud of our nearly 100% customer retention which we believe is due to several distinguishing factors. At the top of the list, our excellent customer service expresses the value we place on each client. additionally, we are a small, agile company that can move quickly to solve problems and complete jobs while other, larger companies get bogged down. Would you like to be part of our mailing list? If so, add your email to the form, follow the confirmation instructions in the email you receive, and you’ll be part of our Midstate Mold VIP List to receive our special announcements and industry insights. If you decide later you’d like to be removed, you can click the “unsubscribe” link at the bottom of our emails. 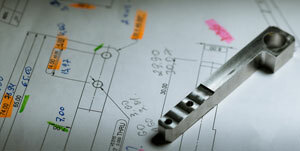 We will work with you as you create your part design. Expert feedback is vital early in the process. We are more than happy to help you spot pitfalls as your part design finalizes. Our highly experienced team will ensure you get the mold that is perfect for your project. We will store your mold on site so it is ready for production. The core of our business is plastic injection molding. Midstate Mold has experts for molding in the medical, industrial, life science, and electronics fields. Quality is of the utmost importance to us. For each product, we have specific and unique quality assurance procedures in place to verify the best possible quality. Engineers from medical, life science, electronics, and industrial fields will find that Midstate Mold understands not only the plastic injection molding process, but the industries each part comes from. 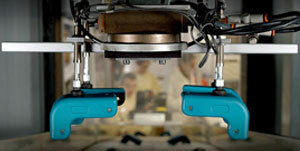 Equally important as the part is the mold that produces the part—that’s our specialty. From concept, to prototype, to completed product, Midstate Mold is committed to the success of your project. Our experience, dependability, and workmanship have put us in great regard with our customers. If you have a design you are looking to produce, let Midstate Mold be your next call.